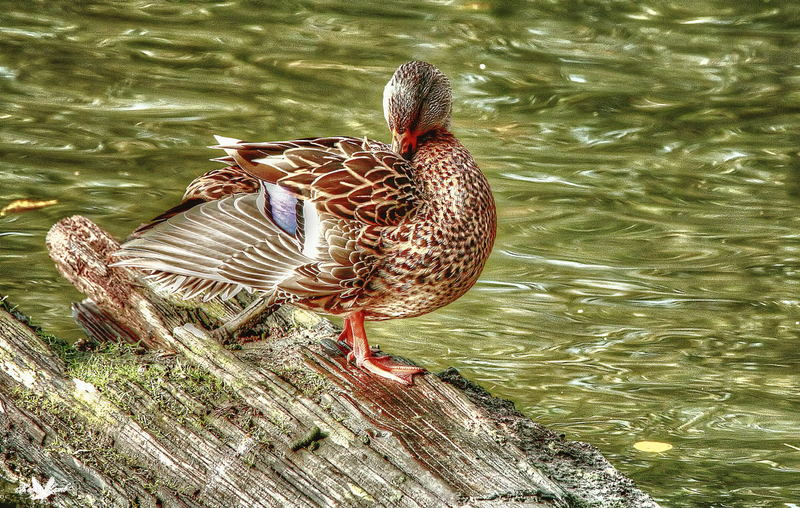 A Mallard hen making herself pretty by keeping all the feathers neat and tidy. This entry was posted on 2015/02/04 by Robin. It was filed under Birds and was tagged with B.C., hen, Ladner, Mallard, Preening. Beautiful rich color. Once again I am drawn to the textures in the water. Ruth, thank you! I really like that too! I love watching Mallards preen. Robbie, me too! They put a lot of effort into it! Pat, thanks! I really like all the different feather features! Wonderful colours indeed! Nd great patterns on her under feathers.